6 Signs of Credible Sources: Are Unreliable Pages Dangerous? Evaluating web resources is a challenging part of research. In times when anyone can put information on the internet, you can’t tell whether a website is scientific or not from just the first glance. So, how is it possible to distinguish credible sources from hoax websites without spending days doing it? We’ll show you the fastest way to estimate your sources—several tips from best custom essay writing service that can be applied to any kind of website. You will also get a list of credible news sources and science blogs. At the end of the article, we’ll demonstrate how to apply a website evaluation checklist and use it for a website reliability check. Today there is simply too much information online. Every website tries to become more popular and increase its number of readers. And not every site uses honest ways to achieve this respect. A lot of books, articles, and films are full of obscurantism—the intentional hiding of information. So knowing what is credible and what is not is essential even if you aren’t taking part in scientific research. And things get even more challenging when you need to do a source evaluation for academic writing. You can’t just use a list of credible sources—there are too few of them to develop a great work of research. What you need instead is a solution to the problem: how to know if the website is legit. We’re ready to give it to you. Reputable online sources aren’t necessarily only boring websites developed in 2010 that use unattractive fonts and dizzying colors—even though good web design is one of the features of trusted sources. Reliable sources can also be selling something. It’s wrong to think that scientific websites should always be run by volunteers. But if we can’t rely on web design or a site’s motivation, what else can we use to evaluate websites? There are many strategies to find good internet sources. Some students use trusted search engines, while others search for certain authors—for example, professors from their university. Add “inurl:.edu” or “inurl:.gov” to your search term. Enjoy the scientifically proven facts! Of course, you can’t always put such limitations in place when working on research or report writing. That’s why we’ll teach you how to check websites’ reliability using the smallest of details. But, first, we’ve prepared some credible websites in different categories for those who are in a hurry. You can always use our list of credible resources to find the newest information in politics, science, or economics. There are several ways to solve the issue of how to evaluate internet sources. One of them is to find academic sources with search engines developed specifically for students and professors. Here are some examples of good search engines for research papers. Use them for your studies whenever you’re working on an essay or dissertation. This is a short catalog of the authoritative and trusted university, government, and non-commercial websites for research on any topic in hundreds of spheres. With these engines, you won’t have to worry about knowing how to tell if a source is credible. Just type in the information you need to find, and get a list of credible websites. Everyone involved in scientific research is aware of the existence of non-credible resources. For scientific research, it’s especially critical to be accurate and use proven facts and statistics. Of course, journalism isn’t exactly comparable to scientific writing. No matter how hard you try to describe world news, politics, or economics, thousands of people will find your article subjective. But still, there are some less credible and more credible news sources. We’ve gathered here a number of news websites in which the main purpose is to give information about what’s happening in the world—not to share a certain point of view. And in this last section of useful links to use, you’ll find reputable sources with scientific information. Every link presents a trusted website filled with knowledge you can easily apply to your research paper. The official NASA website informs its readers about history and technology, explains the goals of its missions, and shares news about space. Search for scientific news in such spheres as history, biology, health, politics, and so on. This credible website will tell you about modern technologies and gadgets, environmental issues, space inventions, and much more. This great scientific resource comes recommended by the BBC. Find everything you’ve ever wanted to know about the world on this reliable website. Want to know why women live longer than men? Or some ways to rehabilitate an ecosystem? Then read articles on Nautilus. This is the official website of one of the most popular magazines about the world and science, accompanied by fantastic pictures. The links we listed above are great for fast access to trusted information. But one necessary skill of every student is knowing how to perform an independent critical evaluation of web resources. It’s true for books, surveys, journals, publications, and, of course, websites—which are often the most difficult type of source to estimate. Scholarly sources always note their authors. You can type the writer’s name in Google and find out more about them. Are these authors famous in the scientific world? In what fields do they work? What topics do they investigate? When evaluating information resources, it’s important to make sure the writer is qualified enough to give such information. The next step is to look for contact information. Anyone should be able to connect with the writer. Search for a personal or professional email address or social media links. If the page you’re evaluating is a scientific one, make sure the author has a relevant degree or is attaching his studies to a university. Keep in mind that sometimes the writer of a blog article won’t be directly involved with any scientific inventions—but if the website is revised by a specialist, it’s still a trusted resource. You don’t want to use outdated sources, do you? That’s why it’s important to check whether the credible evidence is new or was posted years ago. When evaluating a resource, it is important to consider that the date of the article doesn’t mean it was originally posted on that day. Look for the original article on the internet—you can, for example, copy part of the text and put it in your favorite search engine. In the example, the text is found only on the website that published the original article. Try to find where the author posted it in the first place. Many writers have Twitter accounts or personal blogs to announce their publications and investigations. Make sure also that the information is revised from time to time. You can check for this by looking out for a note that says “updated.” It often appears at the top of the article. Also, pay attention to the comments—does the author reply to them? Is it obvious from the comments whether the materials are revised or not? It pays attention to its links. When a reputable source shares facts, statistics, or the results of surveys/investigations, it supports them with relevant web links. Make sure that the articles you use aren’t giving statistics without links. They can be included in the text or follow the article at the bottom of the page. In this example, The Guardian links to a video to prove the information it describes. If there are links, note what are academic sources that prove the facts. They must be scholarly databases or news from universities. If the source is a study, read the abstract carefully. You can find the most significant information there. Then, note whether there are any broken links. Authoritative websites tend to fix them as quickly as possible. If the page is full of 404 links, there’s a big chance that it’s a non-credible resource. There are many possible motivations for having a blog. A reliable website could be written by a professor whose goal is to sell more books, while a hoax website may confuse its readers trying to gain popularity. When evaluating online resources, try to uncover the primary aim of the writer. Is it persuasion, information, or personal profit? Notice the manner of writing. If the writer is trying to convince you or put a specific idea into your head—be careful with the information the article offers. There are also many websites that are selling something—for example, a course. They may claim that 100% of their graduates get a prospective job, escape divorce, play ukulele like a pro, or something like that. You can safely bet that such articles aren’t examples of credible sources, and adding their data to an academic paper isn’t a great idea. If there are too many misspellings, how could we even consider the presence of reliable statistics and facts? 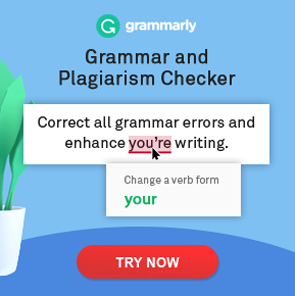 According to Grammarly, a recent Popular Science article has a score of 100. That means there are no misspellings, grammar, or punctuation mistakes. And don’t forget about the structure of the text as well as individual sentences, including punctuation. On Custom-Writing.org, you can find a global guide on punctuation. Use it to check a couple of sentences when you’re evaluating web resources. It isn’t isolated from the world. If the information from a page is useful to the scientific world, it should leave some traces around the internet. Search for other publications that have used the article as a source of statistical data or surveys, or look for citations in journals and university blogs. As you can see, its information is used in many professional books and on academic websites. Do quality research into scientific websites to find information about the writer of the article. It isn’t any less important for a credible article to have a meaningful bibliography. Get familiar with the sources it offers. Pay attention to images as well. If they are included in an article, they should be original or offer information about the source. These tips for evaluating resources are useful to apply whether you’re doing research for academic writing or reading a blog for self-development. To make this task easier, we’ve created a helpful questionnaire. You can download it or use it online for a fast website credibility check. If you can’t find at least 9 of these signs in your article, be careful—there’s a chance you’re dealing with a non-credible source. Now you know how to answer the question, “What are credible sources?” and how to find them among the piles of unproven information. Remember, you can always use our lists of credible websites for faster access to trusted investigations. Download our resource checklist to avoid becoming a victim of hoax websites. Although the internet is full of false information, there are still many credible sources that share real knowledge. Do you use other credible websites? Share them in the comments! This article is highly helpful! Thank you very much, Janet!